Every small business struggles with its cash flow from time to time, but with the right planning, the occasional emergency doesn’t have to become a crisis. So, what can you do to minimize the disruption caused by late payments from customers or a sudden cyclical downturn? 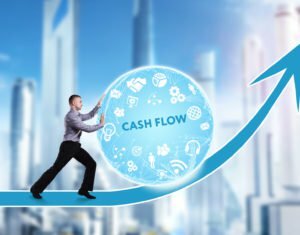 Here are a few of the secrets behind cash flow success. Forecasting your cash flow is crucial. If you don’t know what you will need to pay and when, or when to reasonably expect your customers to pay you, then you can easily find yourself with large bills and without the money to pay them. A good financial forecast will allow you to see at a glance whether you’ll be able to meet your financial commitments and quickly take remedial action where needed. Taking the time to make careful cash flow projections will save you time and trouble later. Make sure to include everything in your forecast; don’t be too optimistic about when your customers will pay, and of course, update your forecast the moment anything changes. When business is going well, it can be tempting to invest your spare cash in growth or to treat yourself to a well-earned dividend. However, you should always keep a cash reserve on hand to deal with unexpected bills or the loss of a major customer. Conversely, the gain of a major customer can be equally risky from a cash flow standpoint. You will need to invest in people, equipment, and raw materials to meet the new customer’s needs before they pay you. Late-paying customers are the number one cause of cash flow crises. Be proactive about credit control to ensure that your customers adhere to their agreed payment terms. You also may want to consider taking a “carrot-and-stick” approach to encourage faster payments—a discount of, say, 5% for payment within a week, with interest levied for any late payments. Conversely, the later you can pay your suppliers, the better. Don’t simply drag your payments out—missing the agreed payment date can impact your credit score. If you can renegotiate payment terms from 30 to 45 or even 60 days, you’ll buy yourself some breathing space and also help ensure that you stay in business. Invoice factoring and discounting are innovative forms of financing which can help you tame a troublesome cash flow problem forever, allowing you to borrow against your invoices as soon as you issue them. Repayment is made when your customers pay you, so even though a financing company will take a small proportion of the payments, you will no longer be derailed by late payers. If you opt for factoring, the financing company will go after your customers to secure early payment, while with invoice discounting, you retain control of your own debtor ledger. Profit and growth are vital to any successful company, but without positive cash flow you will soon find yourself out of business—however high your turnover and however good your prospects. Never lose sight of the need to pay your bills on time, every time.